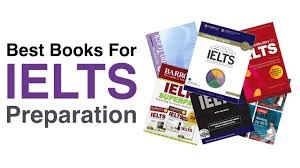 IELTS results are issued 13 days from the test. For most candidates this is the day they find out that they have achieved the IELTS band score that they were after. If you are one of them then this would be the last time you ever have to deal with IELTS for the rest of your life. Option 1 is straight forward and requires no explanation. If however, you believe that you deserved a better score than you were awarded, you can ask for re-marking of your results. You can ask to re-mark the whole test or any part of it (Listening, Reading, Writing, or Speaking). Of course there is a fee, which is roughly a half of the normal IELTS test fee. If your results are changed to a higher score after re-marking, the fee is refunded. If you decide to go for re-marking, here is what you need to do. Within 6 weeks of your test date, get a form called “IELTS Enquiry on Results Form” from your test centre, fill in your name, address, the tests you want to have remarked, sign and date it. Pay the fee and expect your answer back within 6 weeks from the day you received it at Cambridge. your test paper, your writing or your tape recording for the speaking test will be re-marked by a different examiner – not the one in your local test centre, but by a trained clerical marker (for Reading and Listening answers) or a Cambridge ESOL-appointed Examiner, employed by the British Council or IDP. Personally, I don't recommend asking for your reading or listening paper to be re-marked. Reading and listening questions are either right or wrong, so it's unlikely that your scores will change. On the other hand, in the Writing and Speaking your chances are much better, because the score does depend on who marks the work, to some extent. If there is a 2 band difference between your writing and speaking scores, they are usually double-checked automatically, so a re-mark probably won't help. A re-mark might be worth trying if you only need an extra half band in speaking or writing (e.g. if you have 6.5 and need 7). I have personally seen enough number of cases where students have got a 0.5 - 1 band increase in writing & speaking after remarking. However it takes 8 weeks for a re-mark so depending on your circumstances it might be better to resit the test. Nice to know that! However, I saw also a chance to review the test, submitting to another correction. Please, how does it works? Are the results faster? The release of your re-marking results usually ranges from 2 to 21 days depending on several factors including the number of components requested to be remarked. If you have not received a response after 28 days, please contact your test centre.